By Heidi Hadley Blog authoritarian mindset, educate, emotion, empower, facilitate, FREE TASTER COURSE, habituation, mindset, myth of ageing, neuroplasticity, PAIN, posture, recurring injuries, root cause, weak core Comments Off on Use Somatics to Reduce Pain, Improve Posture, Increase Mobility & Get to the ROOT CAUSE. In this week’s blog I am going to teach you why somatics gets to the root cause of aches, pain, stiffness, poor posture and limited mobility. You will learn that it all starts with how our brain communicates to our muscles and what we can do to reverse very common problems people experience on a daily basis. Here is an image of the sensory motor cortex also known as the brain map or homunculus. This is the portion of brain which we are “waking up” when we practice Somatics by using a process known as pandiculation. Somatics uses the sensory motor portions of the brain to gain greater voluntary control of the muscles and other physiological processes. It is “somatic” in the sense that the voluntary learning occurs within the individual as an internalised process. It is brilliant when I see people becoming educated and empowered in the area of their health and wellness. Plus it is heartening when I notice them say “ah ha, I get it, That’s why I get that recurring injury.” At that point I see the client make huge shifts and changes within their lifestyle. They become aware of how poor habits have created many of their symptoms. Let me explain why. Back in the late 1980s before mobile devices came into existence, Dr Thomas Hanna (the creator of the modality Somatics) stated the stooped posture seen in old people is NOT always due to their age. He called it the ‘myth of ageing.’ He believed with the knowledge of neuroplasticity, this stooped behaviour occurs due to habituation. If the brain and sensors in the muscles notice shifts in tone and tension on a regular, habitual basis, the brain and body adapts. Fast forward from the 1980s and we see what he said to be true with the younger generation. We wouldn’t say their slouching and stooped posture is due to ageing, rather we acknowledge it is due to spending large amounts of time looking down at computer and mobile devices. 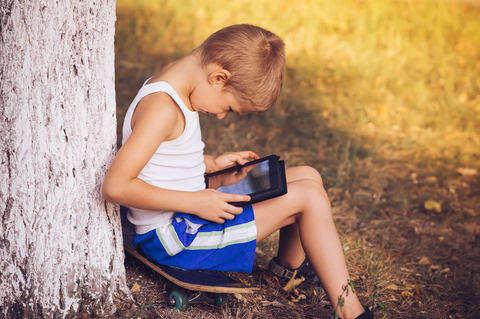 As brilliant as they are, the introduction of computers and mobile devices have created an old man stoop with teenagers and adults. Why? It is due to habituation. As I mentioned a moment ago, your muscles have sensors. These sensors constantly check the level of tension and length within your muscles. If a person spends a large amount of time slumped over their keyboard, book, electronic device or playing computer games with their elbows resting on their knees, the sensors within the muscles will relay to the brain and inform the Sensory Motor Cortex which controls the level of muscle tension to alter according to the habitual or regular pose created. The brain and muscles recalibrate to what they feel is ‘normal.’ However over time this adaptation in posture creates chronically tight and tense muscles will cause pain, musculoskeletal problems, digestive and reproductive issues plus many more health conditions. Did you know there is an emotional link to posture? Our mind and body cannot be separated, the one hugely influences the other. TO READ MORE, CLICK HERE TO READ ONE OF MY BLOGS ON THIS ISSUE. Within my Clinical Somatics practice, I encourage people to start moving away from an authoritarian mindset and move towards an empowered and educated mindset. Within my practice I have seen many people crippled by fear and anxiety from pain, poor posture, lack of mobility and a reduction in the quality of their life. Many people feel they have lots ownership of themselves and will often ask a health professional, “how am I feeling? Am I better?” This mindset is a step away from education and empowerment, instead creating a mindset which requires needing to be ‘fixed’ and the ownership is taken away from the client and put onto a health professional. However as a Somatics educator my focus is to first and foremost educate and facilitate clients back to good health. This method helps a person’s emotional and mental health. Do you find you have recurring injuries and issues? As brilliant as manual therapies are, they can only do so much with the client, the change in habits has to come from the client. As a Clinical Somatics Educator, part of my job description is to explain in person, on skype, on zoom and within my online program why they suffer with recurring injuries and how they can change that pattern and behaviour of muscular contraction, tightness and pain. Within somatics, I am teaching clients to recalibrate and find the correct neutral with their posture and movements. This can be achieved by developing a daily somatic movement practice which will recalibrate the connection between your central nervous system and your body. 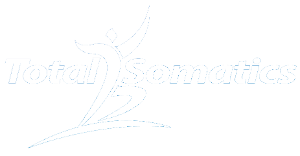 The Total Somatics Approach to Health & Wellness Online Program at www.TotalSomatics.com is comprehensive in its approach. I created the program so that people around the world can benefit from the powerful yet gentle mind and body practice. You will notice within the online program that there are videos, audios, podcasts, other support and downloadable material to help you on a daily basis. Many people are surprised when they start to sense and feel the difference after a somatic movement session. They often notice changes after just one session. Why? Because your brain is so smart, it adapts really quickly thanks to the process of Neuroplasticity. Within the time taken to practice mindful somatic movement, the neural landscape of the BRAIN has shifted and changed to create new pathways or synapses. 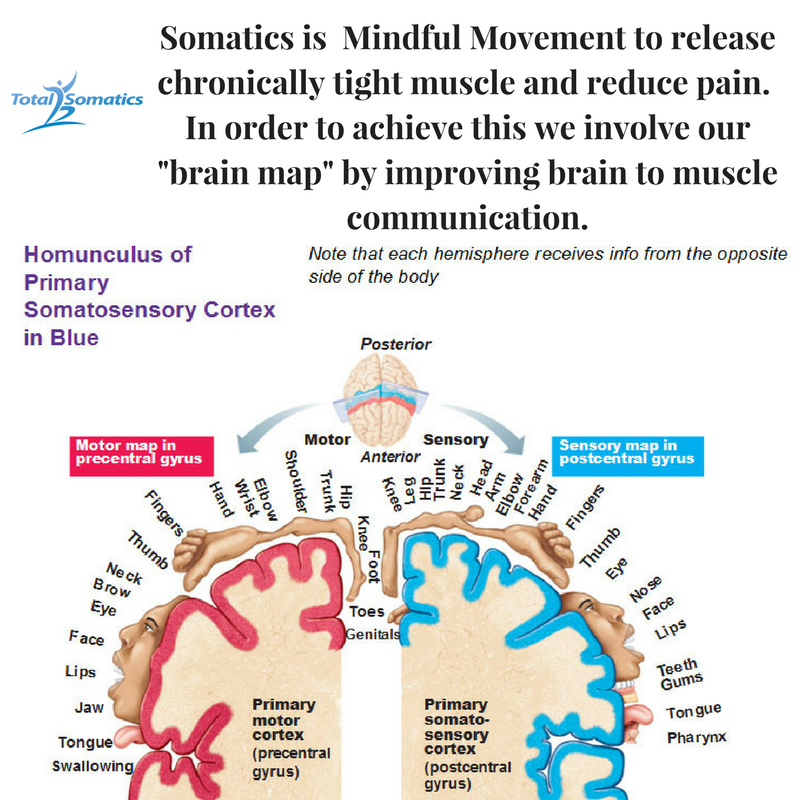 This amazing process occurs all over the brain and in particular the sensory motor cortex, brain map or homunculus to make the brain to body connection work more efficiently. If this person spends large amounts of time sitting or standing at their computer in a certain posture, what will happen? Look at his body. What will tighten up? The muscles through the front portion of his body will tighten. Think of the impact this has on his movement. Think how this will impact his respiratory system. Think how tight his anterior intercostal (between the ribs) muscles will be, imagine the limited space for the diaphragm to expand and contract. By extension, think of the reduction of fresh oxygenation blood flooding the tissues and cells to regenerate. Imagine how this would impact on his cognitive function. Think how this would create headaches, neck pain and a distraction from his tasks as he is struggling with a headache or brain fog. Imagine how crushed his digestive system would be and the effects on its function. Can you imagine how this will impact on his bowel habits? Remember that the average weight of an adult head is 5kg. So if you had a 5 kg weight suspended on small neck muscles and heavily leaning forward, can you imagine how much pain and tightness that would cause to your muscles? Let alone the strain on your ligaments, tendons and joints. As a result of muscles being held chronically tight it will create soreness and pain. The movements of a person become limited and rigid in their actions. Plus chronically tight muscles create a constant energy drain on the body. If you walked around with your hands permanently held in a tight fist, it would put strain on your muscles, ligaments, tendons and joints, as well as exhaust muscles within your hand, forearm and shoulder. The energy output could be diverted elsewhere but instead, it is being used to hold muscles tight, which really don’t need to be. Chronically tight muscles create postural distortions and poor weight distribution that will cause secondary pain typically mistaken for arthritis, bursitis, herniated discs and so on. There has been a trend within certain areas of health and wellness that have said that back pain and lower back issues are due to having a 'weak core.' So people are advised to tighten already tense muscles through their core, hips, lumbar spine and intercostals. Doing this begins to intensify their pain and amplify the level of muscle contraction further. As important as strength training is, Somatics is the missing link many health professionals have found will get their clients back on the road to recovery. Before you strengthen and tighten muscles, you have to teach your sensory motor cortex how to coordinate and work efficiently. When a person is tight and in pain, the coordination and rhythm within the muscles has been lost. As a result if, for example, a person wants to bend down to pick their bag up, they adapt and squat down awkwardly with a straight back, in fear they may twinge their back. The reason for their robotic behaviour is because they have developed “co-contraction” whereby the front, back and sides of their body have tightened and the brain has gone into autopilot. By understanding how your brain and body are constantly adapting to environmental, physiological and psychological events, it is important to create a Daily Somatics Practice. By resetting our mind and body connection each day, we can reduce pain, increase mobility, improve posture and continue or return to the activities we love to do. I have created The Total Somatics Approach to Health & Wellness Online Program to suit your lifestyle, in the comfort of your own home, at a time that suits you, with material which is concise and easy to digest and understand. If you have any questions or need additional support, I am available for skype or zoom consultations. Plus many clients email me and I will often return with specific audios and advice for their issues. I am constantly adding new material from feedback and requests. I have created this program for you so you can reduce pain, improve posture, increase mobility and enjoy your life to the full. To learn more CHECK OUT THE FREE ‘TASTER’ OF MY ONLINE PROGRAM BY CLICKING HERE. 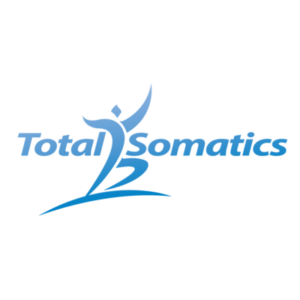 To learn more about The Total Somatics Approach to Health & Wellness Online Program, go to www.TotalSomatics.com.